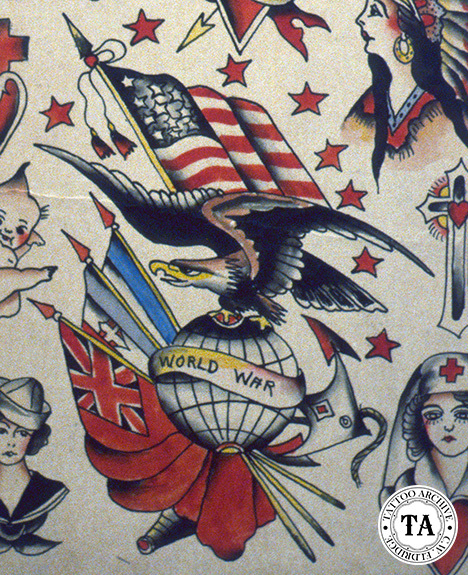 The eagle is perhaps one of the most popular of designs in the tattoo world on both sides of the Atlantic, It has been seen on shop walls since the beginnings of professional tattooing. 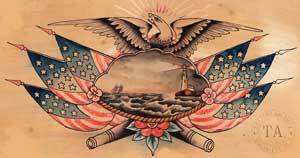 On July 4, 1776, after the thirteen states won their independence from Great Britain, a committee was formed to design a Great Seal. The United States needed an official symbol for treaties and transactions. It took six years, three committees and the work of fourteen men before Congress accepted a design. The finished design took elements from each of the three committees. On June 20, 1782, America chose the Bald Eagle as its national emblem. 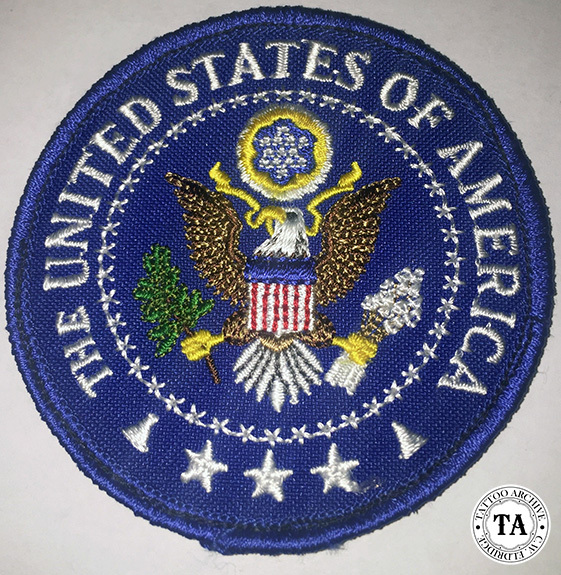 The Great Seal consists of an eagle facing forward with his wings spread. On the bird’s chest is a shield with thirteen red and white stripes on a blue background. In the right talon the eagle holds an olive branch, symbolizing the desire for peace, and in its left talon, a bundle of arrows showing that America will always be ready for war. The eagle’s head is turned toward the olive branch to symbolize the preference for peace. Above the eagle on a blue background are thirteen stars and in it’s beak is a scroll with the motto “E Pluribus Unum”, Latin for “Out of Many, One.” This motto is attributed to Thomas Jefferson. 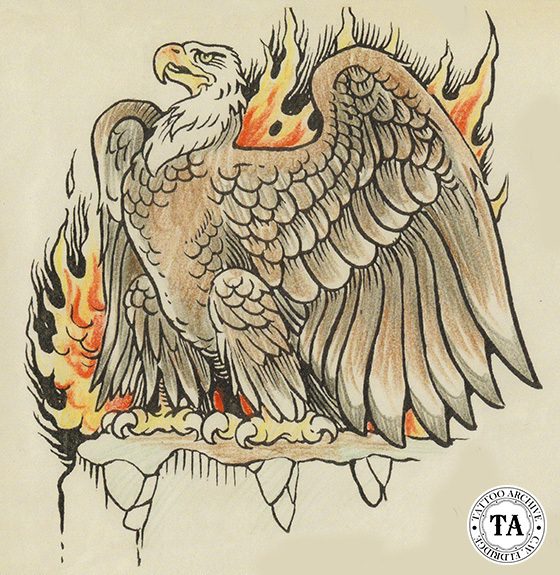 Eagle tattoo designs come in all shapes and sizes, from large back pieces to medium sized chest pieces to small arm ones. Often they are used to frame other designs like ships, anchors, girl heads etc. Included with this article are but a few eagle designs used in tattooing.